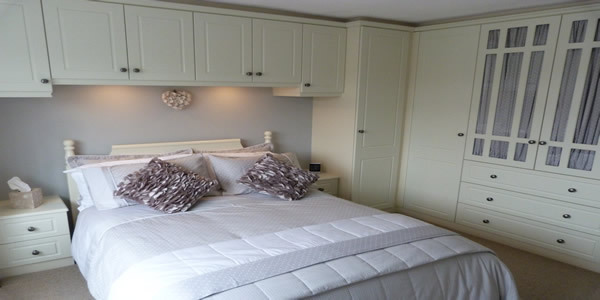 Our fitted bedrooms give you that luxurious feel from the moment you walk in, the perfect place to relax and unwind. The craftsmanship brought together with the quality of materials provides the ultimate combination for you. Working with you to create your perfect bedroom. 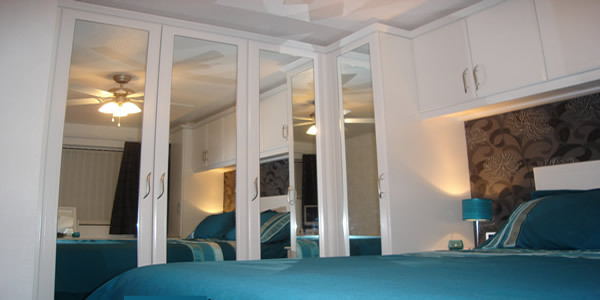 Perfectly fitted wardrobes keep your bedroom neat and clutter free. Working with you to fit the exact room measurements means you have a unique to you, bespoke bedroom. Mirrored doors can create an even greater feeling of space and light. Compliment your wardrobes with co-ordinating bedside cabinets, dressing tables and desks. Lighting can also be used to create a bedroom ambiance and really set the mood. Extensive lighting options complete with remote controls for a real touch of luxury. 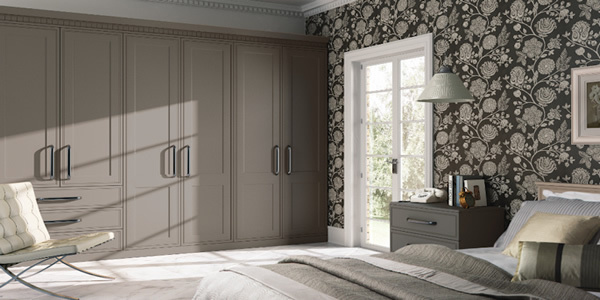 Tired of messy children and teenage bedrooms, we have the perfect wardrobes and storage solutions for you. 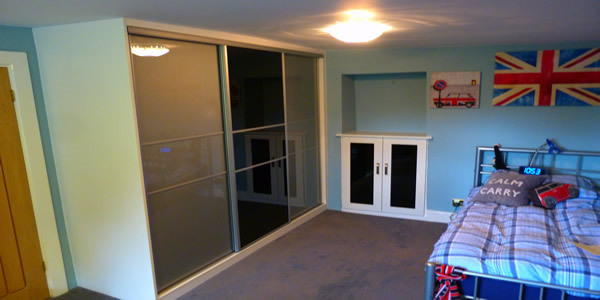 Stylish and made to last, our bedrooms will see them through from children to teens. Tv and work areas can also be incorporated into the bedroom along with a 'secret den' too. As always coordinating bedroom furniture can also be added. Never again see an untidy room !